Decorating homes and businesses is a long-standing tradition around the holiday season. Unfortunately, these same decorations may increase the chance of fire. Based on data from the National Fire Protection Association and the U.S. Fire Administration, each year an estimated 250 home fires occur involving Christmas trees and another 170 home fires involve holiday lights and other decorative lighting. Together, these fires result in 21 deaths and 43 injuries annually. Following a few simple fire-safety tips can keep electric lights, candles and the ever popular Christmas tree from creating a tragedy. Learn how to prevent a fire and what to do in case a fire starts in your home. Make sure all exits are accessible and not blocked by trees or other decorations. - If you buy a real tree, try to get the freshest one possible. Christmas trees are frequently cut as early as October and placed in cold storage until the tree lots begin sales. Remember, a dry tree will ignite explosively and burn. - A fresh tree will have a strong pine or spruce scent and a deep-green color. Needles will not fall off the tree at a touch. To test freshness, grasp a branch near the trunk and gently pull the branch through your fingers. If needles feel brittle, stiff or come off easily, choose another tree. A truly fresh tree will have sticky sap at the base. - Prior to placing the tree in a tree stand cut off about two inches of the trunk, preferably at a slight angle if your stand will permit this. An angle cut permits maximum water absorption. Water the tree daily. The average tree will consume between a quart and a gallon of water per day. Recent tests prove that commercial additives are of little value. They also indicate that tap water is best for keeping the tree hydrated. - Fireplaces and other heat sources, such as space heaters, will dry the tree out quickly. So, avoid placing the tree to close to them. Be careful not to block access to doors and exits with the tree or with furniture that has been rearranged to allow space for a tree to be set up. - Never use candles or other open flame decorations on or near the tree. - If purchasing an artificial tree, look for the label stating it meets flammability standards. Many of these trees have a spray coating applied that may wear off over the years. You can test this by removing a small piece of the tree, taking it to a safe area outside, and applying a flame. If it readily burns, it is time to replace or re-treat the tree. - Do not string electric lights or other wiring on the tree as this creates a possible electrical shock hazard. Illuminate metal trees with multicolor flood lamps designed for this purpose. Artificial trees come with safety instructions that should be read carefully and followed closely. - Inspect holiday lights each year for frayed wires, bare spots, gaps in insulation, broken or cracked sockets and excessive kinking. - Use lighting only listed by an approved testing laboratory. 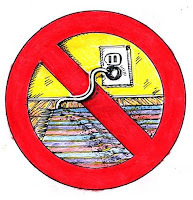 - DO NOT overload electrical outlets. - Unless directions allow, DO NOT link together more than THREE light strands. - Make periodic checks to wires - they should not be warm to the touch. - DO NOT leave holiday lights unattended. - Presents under the tree are very pretty, but keep tissue paper wrappings away from tree lights. 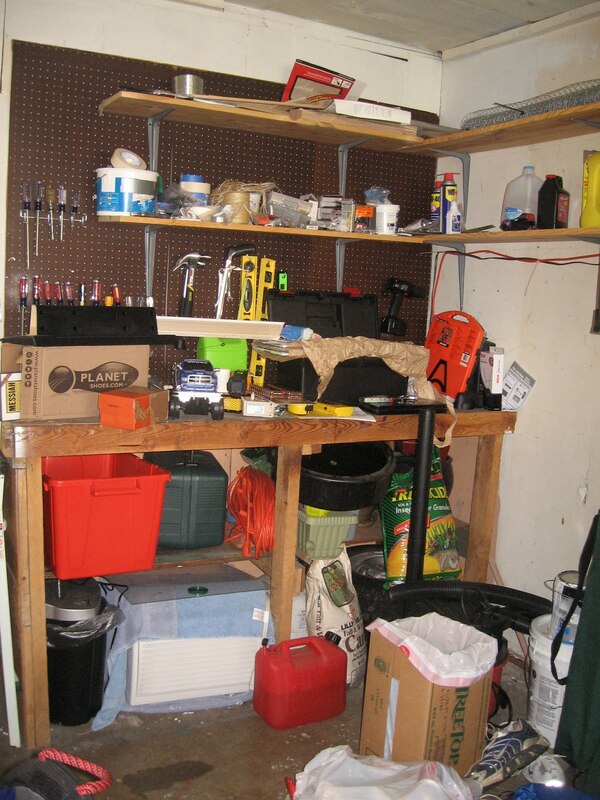 - Do not run lights or extension cords under carpets or rugs, through door jambs or across walkways. - Use only nonflammable decorations of flame resistant decorations and ensure they are not located near any heat vents. - DO NOT block exits. Trees and decorations should not block any exits within your home or work facility. Remember, check your live tree daily throughout the holiday season. If it becomes dry, brittle or the needles turn brown and fall off, it needs to be removed from the home or office as the risk of fire becomes too great. When disposing of your Christmas tree, never burn it in the fireplace. Most communities establish plans for either the recycling or disposal of Christmas trees, so watch your local papers. In case of an emergency on base, dial 911. Help ensure that you have a fire-safe holiday season. For more information, visit: http://www.usfa.dhs.gov/citizens/focus/holiday.shtm. Here are 10 fire safety tips that will help keep you and your family safe from fire, please read through them and discuss them with your family. Working smoke detectors can alert you to a fire in your home in time for you to escape, even if you are sleeping. Install smoke detectors near each sleeping area, it is best if you install one inside your sleeping area as well. Test detectors every month (always follow the manufacturer's directions) and replace batteries once a year, or whenever a detector "chirps" to signal low battery power. Never "borrow" a smoke detector's battery for another use - a disabled detector can't save your life. Replace detectors that are more than 10 years old. If a fire breaks out in your home, you have to get out fast. Prepare for a fire emergency by sitting down with your family and agreeing on an escape plan. Be sure that everyone knows at least two ways out - including doors and windows - from every room. (If you live in an apartment building, do not include elevators in your escape plan.) Decide on a meeting place outside where everyone will meet after they escape. Have your entire household practice your escape plan at least twice a year. Never leave cooking unattended. Keep cooking areas clear of combustibles and wear clothes with short, rolled-up or tight-fitting sleeves when you cook. Turn pot handles inward on the stove where you can't bump them and children can't grab them. Enforce a "Kid-Free Zone" three feet (one meter) around your kitchen stove. 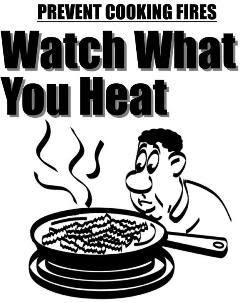 If grease catches fire in a pan, slide a lid over the pan to smother the flames and turn off the heat. Leave the lid on until cool. In a child's hand, matches and lighters can be deadly. Use only child-resistant lighters and store all matches and lighters up high, where small children can't see or reach them, preferably in a locked cabinet. Teach your children that matches and lighters are tools, not toys, and should be used only by adults or with adult supervision. Teach young children to tell a grown-up if they find matches or lighters; older children should bring matches or lighters to an adult immediately. If an electrical appliance smokes or has an unusual smell, unplug it immediately, then have it serviced before using it again. Replace any electrical cord that is cracked or frayed. Don't overload extension cords or run them under rugs. Don't tamper with your fuse box or use improper-size fuses. If your clothes catch fire, don't run. Stop where you are, drop to the ground, cover your face with your hands, and roll over and over to smother the flames. Using prevention techniques will greatly improve your chances of never having to escape from a fire. Don't be fooled though, you never know when or where a fire will break out--always be ready! Be Fire Safe! There’s nothing more important than to have an early notification of a fire, especially if it’s in the home. This year’s fire prevention & fire safety issue that is being highlighted is the importance of having working, operational smoke detectors. In 2009, fire departments in the United States responded to an estimated 1,348,500 fires. These fires resulted in 3,010 civilian fire fatalities. About 80 percent of the fatalities occurred in the home between 11 p.m. and 7 a.m. 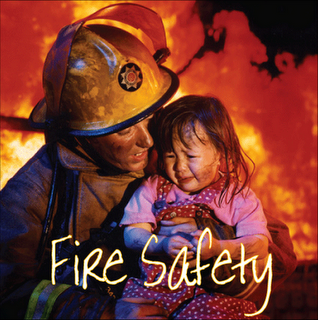 There was a civilian fire death every 175 minutes and a civilian fire injury every 31 minutes in 2009. In addition, there were 17,050 civilian fire injuries and an estimated $12,531,000,000 in direct property loss. These statistics are alarming to say the least. There is a simple list of steps or guidelines that could possibly save you or your loved ones in the event of a fire in the home. By taking a little time out with your family to go over and practice these procedures will ensure that everyone knows what to do if or when a smoke alarm is sounded. The early notification of a fire gives you the needed time to escape with smoke alarms which are credited for saving approximately 8,000 lives each year, Stoll said. •Should occur in every level of the home, along the exit paths and in the sleeping areas. •Ceiling mounted alarms should not be installed near air vents or ceiling fans. •If detectors are wall mounted, install between 2 and 4 inches below the ceiling on the wall to avoid the dead air space. •Test smoke alarms monthly, and change alkaline batteries twice a year. Lithium batteries may last up to 10 years. •Mark the detector with the date installed. Here are some additional items in that simple list of steps or guidelines that should be gone over with along with smoke alarms in the home. •Plan and discuss with your family two ways out of every sleeping area in your home. •Secondary escape routes from the sleeping areas may include windows. •Insure bedroom windows open easily for quick use. During a fire, never hesitate to break a window if it will not open. Throw a blanket over the window ledge to help prevent cuts. •Encourage residents to sleep with their bedroom doors closed. This prevents the room from filling with heat and smoke as quickly. •Check the doors for heat before opening. If the door is hot, don’t open it. You must use the secondary escape route. •If there is smoke in the room, crawl low near the floor to reach your exit. 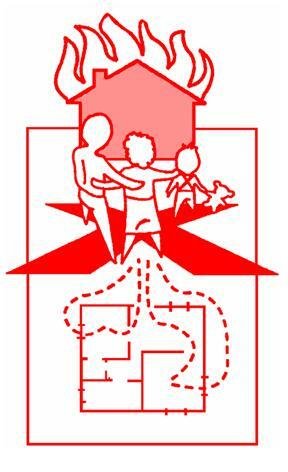 •Have a designated meeting place outside your home where everyone can meet after exiting. •Never go back inside a burning home. •ABC fire extinguisher for kitchen and garage. •Escape ladder for upper levels of the home. •Quality power strips and extension cords. •Artificial battery operated candles to replace the open flame candles in our youths’ bedrooms. Help make sure that every home has the appropriate amount of working detectors to keep your family, your community, and co-workers safe from fire. It is encourage that you practice these fire prevention & fire safety steps with your family, and if you need further assistance contact your local community fire department with any questions you may have. The Nichols Fire Department reminds you to test smoke & CO2 detectors at least once a month. A broken detector provides no protection. Don't go without early warning. Make periodic checks routine in your home. Use the "Press To Test" button on detector to test. Train everyone to respond quickly at the sound of the detector. Seconds count! Test your smoke & CO2 detectors and save your live. One of the best ways to protect yourself and your family is to have a working smoke alarm that can sound fast for both a fire that has flames, and a smoky fire that has fumes without flames. It is called a "Dual Sensor Smoke Alarm." Place a smoke alarm on the ceiling of every level of your home and outside bedrooms. Children and older people can sleep though the loud sound of a smoke alarm. Make sure your escape plan includes someone that can help children and others wake up immediately to escape from the home. 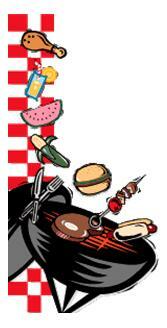 If smoke from cooking makes the alarm sound, press the �hush� button, if your alarm has one. You can also turn on the kitchen fan, open a window or wave a towel near the alarm until it stops making the sound. Never take the battery out of the alarm. Most alarms need a new battery at least once a year. Some smoke alarms have batteries that last for up to 10 years. If your smoke alarm is over 10 years old, replace it with a new alarm and a new battery. 1. Do not smoke while fueling lawn mowers. As we all know, gasoline is flammable and is explosive too. 2. Wait for machines to cool before refueling. Wipe up spilled fuel immediately. Never fuel a running mower. 3. Store and pour gasoline carefully and keep it in an approved container with a tight-fitting lid. 4. Check electrical mower cords for frayed or damage spots. Frayed insulation added to a metal mower, damp or wet grass, can cause lethal shocks or severe electrical burns. 5. Leave blade sharpening and electrical repairs to professionals. 6. If you do your own cleaning and tune up, disconnect the spark plug or remove it before beginning. If your mowers clogs up with grass it’s safe to make sure they are shut off first. If a blade is turned by hand, the mower can start if the spark plug is still intact. 7. Never leave the mower without turning it off. It takes only a few seconds to run inside and only a few seconds for the mower to run over someone and caused serious injury. When you're mowing your lawn, be mindful of children. “Awareness,” it's everything. Always be conscious of your surrounding and know what's around you while mowing. Have a safe enjoyable lawn mowing season. Learn Not T0 Burn! Be Fire Safe! Once a fire has started, there is no time to plan how to get out. Sit down with your family today, and make a step-by-step plan for escaping a fire. Draw a floor Plan of your Home, marking two ways out of every room - especially sleeping areas. Discuss the escape routes with every member of your household. Install smoke detectors and keep them in working order. Make an escape plan and "practice" it. Use what you've learned. . .
SET UP YOUR PLAN, including two ways out, a meeting place and. . . CONDUCT A PRACTICE DRILL to determine if anything has been overlooked. EVERYONE in the household NEEDS TO PARTICIPATE for it to be successful. It may SAVE YOUR LIFE!!! Play It Safe…Plan Your Escape! 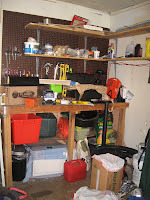 Spring Cleaning is here again! Make sure you include getting rid of trash, boxes, piles of cloths and other combustibles that can start a fire. 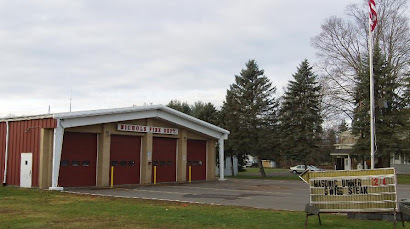 The Nichols Volunteer Fire Department suggests you clean out storage areas on a regular basis. Don’t give fire a place to start. A clean house is a safe house. Remember: Keep Your Place Firesafe: Hunt for Home Hazards and Fire Won't Wait...Plan Your Escape! Short circuits, misuse and abuse of appliances and cords top the list of one of the major causes of fatal home fires . . . Electricity. Pay attention to warnings against overloading electrical outlets. Plug in only what outlets can take directly – without the use of adapters. Overloading causes fires. Damaged cords should be replaced, not repaired. Do not risk your family and possessions to save a few dollars it would cost to buy a new cord. LeRoy A. Kemp, 81, of S. Vanderkarr Rd., Barton, passed away while responding to the aid of others on January 13, 2010. LeRoy was born on July 24, 1928 in Smithboro, NY, a son of the late Olin and Hazel (Thompson) Kemp. He was a graduate of Owego High School Class of 1945 and for many years owned and operated Kemp's Poultry Farm with his family in Barton. On January 13, 1946 in Smithboro, he married the love of his life, Marion Aldrich, and together they have celebrated 64 years of happiness. Always willing to assist in a time of need, LeRoy was a lifetime member of the Tioga Center Fire and Emergency Departments, where he had served as Chief, EMT and Fire Police. In addition, he was Chairman of the Board for the Fire Commissioners and had assisted with the Tioga County Fire Investigation Team. He was a dedicated and well respected fireman who will be greatly missed by his community and his fellow members. LeRoy is survived by his wife, Marion; his daughters and sons-in-law, Susan and Gary Mandrino of New London, NC, Pamela and Richard Mott of Waverly, NY; a son and daughter-in-law, Milton and Nancy Kemp of Barton; brother-in-law, Edward Aldrich; sisters-in-law, Frances Gascon, Nelly Short, Betty Schmidt, Joann Rumsey, Florence Zimmerer and Julie Green; seven grandchildren, Roxann (Matthew) Galster, Karen Stewart, Michelle (Patrick Tart) Grimes, Andrea Grimes, Thomas (Melissa) Kemp, David (Brenda Hubbs) Kemp, and Sarah (Heath Bennett) Kemp; great grandchildren, Andy Garey, Samantha Stewart, Elizabeth, Catherine, Christopher and Benjamin Galster, Victoria Grimes, Kennedy and MacKenzie Hill. Several nieces, nephews and their families also survive. LeRoy was predeceased by his sister, Ella May Bill; and a sister-in-law, Adele Bettis.Family and friends are invited to attend a period of visitation and time of sharing memories on Saturday, January 16th, from 2-5 p.m. at the Nazarene Church, Route 17C, Owego, NY. A memorial service will be held on Sunday, January 17th, at 2 p.m. at the Nazarene Church with his nephew, Pastor Alan Bill and Rev. William Wells, officiating. Flowers will be provided by the family and memorial contributions are be directed to the Tioga Center Emergency Squad/Fire Dept., PO Box 185, Tioga Center, NY 13845 in loving memory of LeRoy A. Kemp. 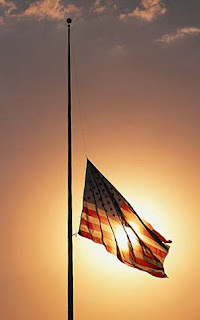 Memories and condolences may be shared by visiting our website at http://www.sutfinfuneralchapel.com/. Caring assistance is being provided by the Cooley Family of the Sutfin Funeral Chapel, 273 S. Main St., Nichols. With the lost of Fire Fighter Leroy Kemp early today, our condolences, thoughts & prayers go out to the Family, Friends, and Members of the Tioga Center Fire Department. Leroy Kemp a 59-year Volunteer Fireman lost his life in the Line of Duty this morning while responding to an emergency ambulance call. Leroy Kemp, age 81, was killed in a fatal motor vehicle crash while responding to the Tioga Center Fire Station. 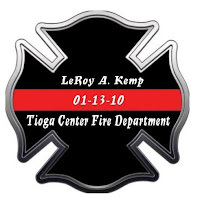 Leroy Kemp served in the Tioga Center Fire Department as a Fire Fighter and Ambulance Driver. A past Fire Chief of the Tioga Center Fire Department, he last served as the Chairman of the Tioga Fire District, Captain of the Fire Police and Company Chaplin. Leroy Kemp was also a retired member of the Tioga County Fire Investigation Team. 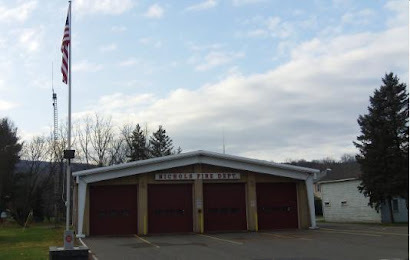 Leroy Kemp was a valued member of the Tioga Center Fire Company and will be deeply missed by his family, friends, the Tioga Center Fire Department, the Tioga County Fire Service and the community that he served so faithfully. FD Memorial Maltese Cross by Vestal Fire Fighter Dave Hitt.